December 11th is a day that I will never forget, because it is the day I went to MAIDREAMIN...a maid cafe in Akihabara with 10 of my coworkers. Yep, you heard me right...a maid cafe! what. Monday was right in the middle of Final exams, so the students had to leave school by noon. Thus, freeing up the teachers to correct the test, plan for the next day, and also...go out to play!! HOORAY!! Mami sensei, the lady in the beanie, is a self-proclaimed (and others affirmed) Akihabara professional so she conjured up the idea for all of us to go on a fun tour there. 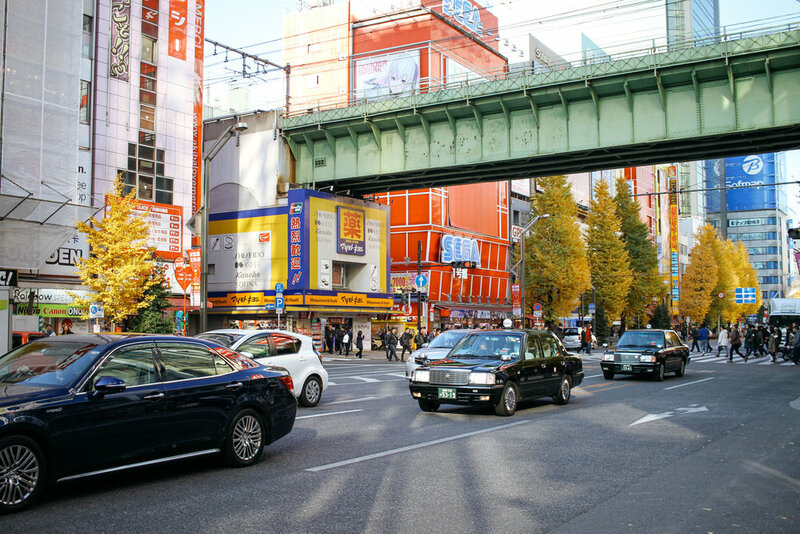 For those who don't know, Akihabara, better known as AKIBA, is a part of Tokyo famous for two things : technology and anime. It is the hub of otaku (nerd) things and where all the serious gamers hang out. So let's just say, it's not my neck of the woods! We took the Tsukuba express line from Kashiwa Tanaka station directly to Akihabara (easy route) and arrived around 1:30pm. I really loved traveling with all my coworkers. They are all so lively and curious about anything and everything so we chatted the whole train ride. Alison also happens to be a Akihabara professional so here she is explaining a phone game to our coworkers. We arrived in AKIBA and immediately I felt the sense of...otakuland! haha. There are "gachas" all over Akihabara where people pay around 300yen to get a little toy. What do we even call these in the states? I forget!! haha. 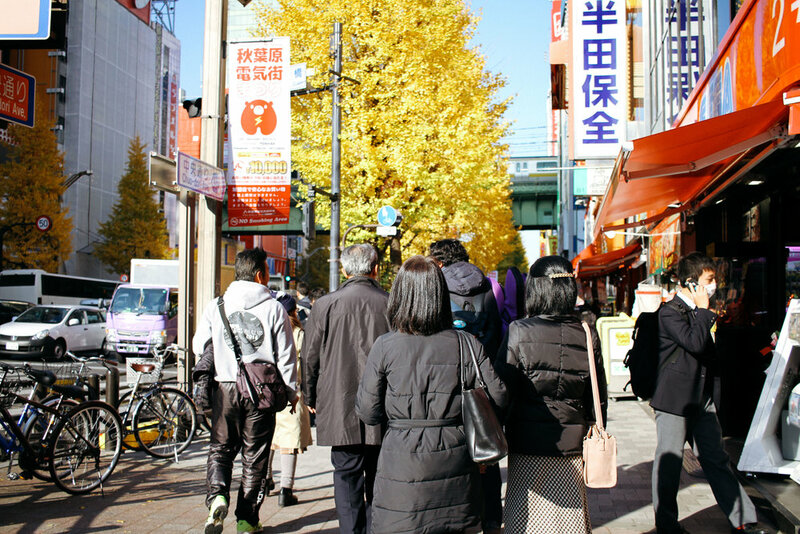 It was a beautiful day and I was surprised to see the Gingko trees in full bloom still! 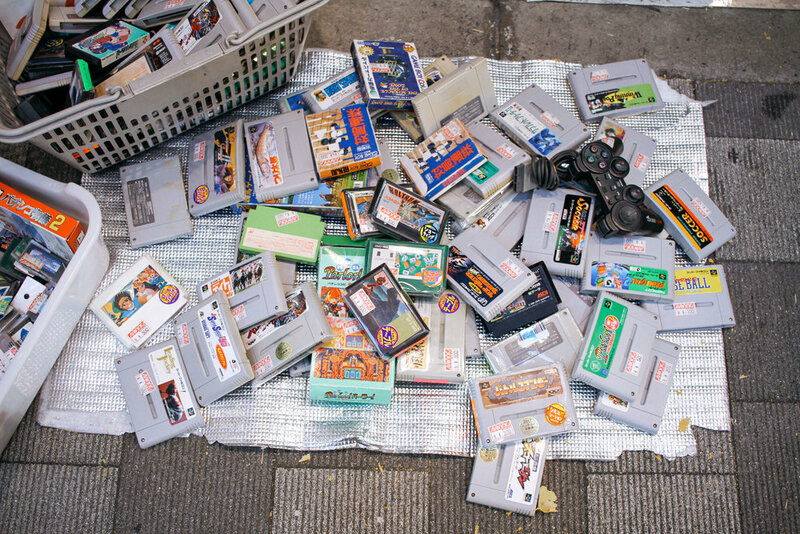 We stumbled upon some super old nintendo games which brought back a lot of memories. I saw this dude walking in front of us and (admittedly) chased after him a little bit to get this photo. I mean come on...that simple clean style with that dope Adidas backpack!!! SWAG. 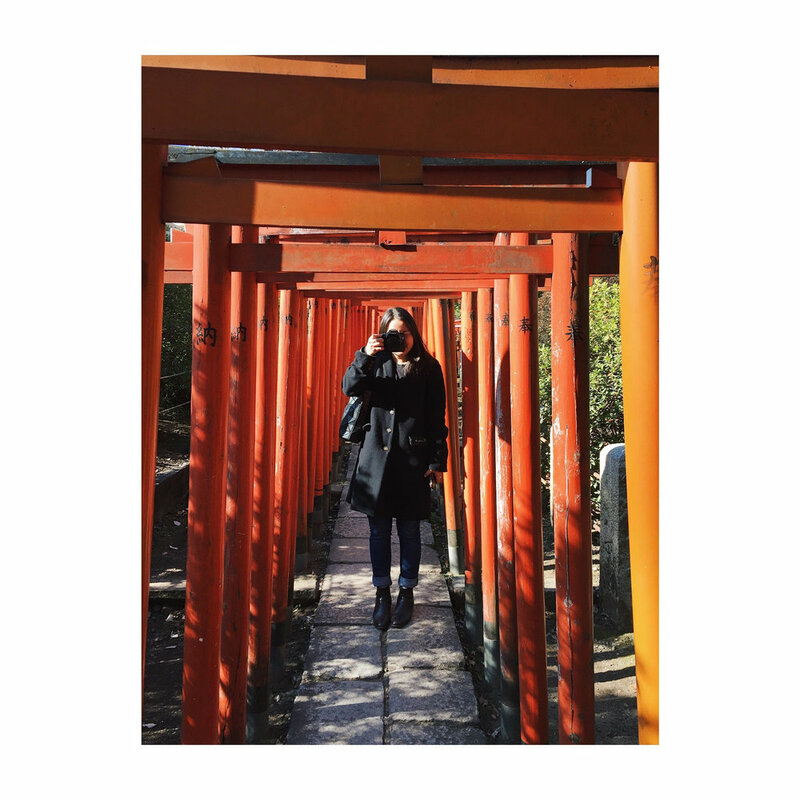 I love Tokyo for all the cool people I get to see and the styles they evoke. Ok...time for MAIDREAMING, the most popular maid cafe in the area! Thanks to Mamis expertise, we went to the OG cafe and got a nice big table to fit all 11 of us. The best part was experiencing it with my coworkers, especially Kuwabara and Mashiko who are like dads to me here. It was so funny seeing them reading the menu and choosing what super cutesy food to eat! hahahaaaa. 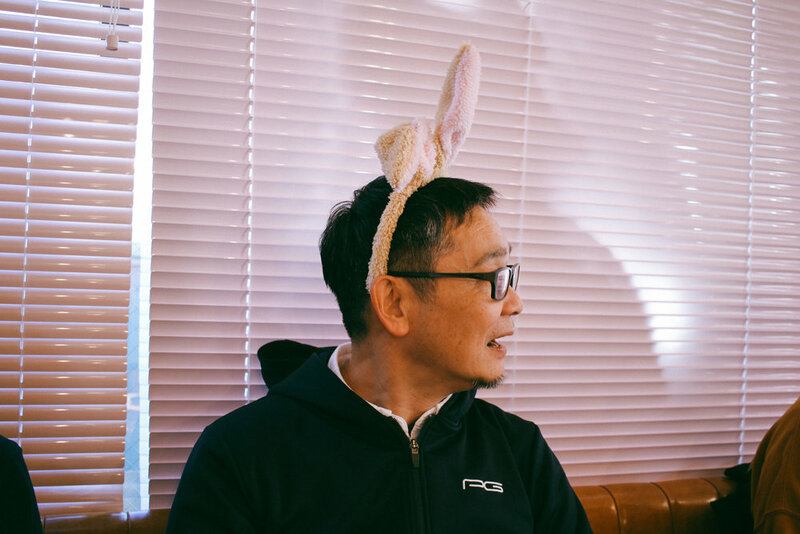 The worker gave us all headbands to wear, all various animals, and Ikeda sensei really embraced his bunny ears! I told Alison she looked like Arthur...doesnt she!?? Group photo!!! I love this so much!!!! Everyone was so down to try new things and embrace the weirdness of the cafe hahaa. We have to say "nyan" after every sentence to sound like a cat and it was hilarious. Like you literally have to say, "excuse me, can I have more water...nyan!?" Like a meow sound. HAHAHA and everyone did it with great enthusiasm. If you bought the set lunch, you get a keychain as a souvenir. Also, they had a "DREAM JOURNAL" there that served as the guest book. A lot of people said they visited from the states and I thought that was funny! For a lot of my coworkers, it was their first time to a maid cafe too! The funniest moment was when I asked Ebisawa sensei (in the white shirt) what she thought about it and she said..."this was my first and last time to a maid cafe" and that made me laugh so hard!! HAHAHA. 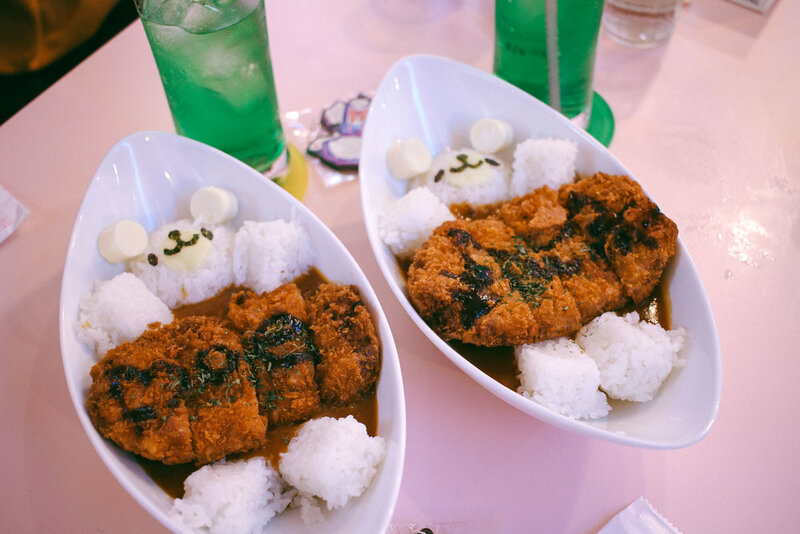 We ordered their ridiculously cute (and overpriced) food for the fun of it. The two pictures on the left are of OMURICE (rice omelet) with special designs written in ketchup. Pretty cute. And the top right pic is the curry Alison and I got...which comes in the shape of a bear! hahaa. And the bottom right pic is the Hamburg one of my coworkers got which is, in my opinion, the cutest of them all!! This might be my favorite photo from the day. I could see it on a journal article titled, "New leisure activities for overworked businessmen in Japan" ...right!? My coworkers were kind enough to order me this cute plate!! Pretty impressive design. The funny part is it says "Amile" instead of Amie...which doesn't surprise me since here in Japan most people think my name is "Ami" or "Emily" so here they have just combined the two...AMILE! hahaha. If you pay extra, you get this cute decorated Polaroid! I love this picture so much and I will absolutely treasure it forever. After our crazy experience in Maid dreamland...we stepped back into reality and spent some more time on our Akiba tour. Gacha game central!!! This particular store is quite well known and has hundreds of these machines with all different characters to get. Mami showed us a very interesting vending machine in Akiba which sells two strange things.... 1) fruit juice in weird flavors. They have DURIAN!!! ahhh!!! and 2) ODEN, a type of Japanese hot pot. Pretty weird that the oden comes warm and in a can...crazy! More of the anime/comic craziness! 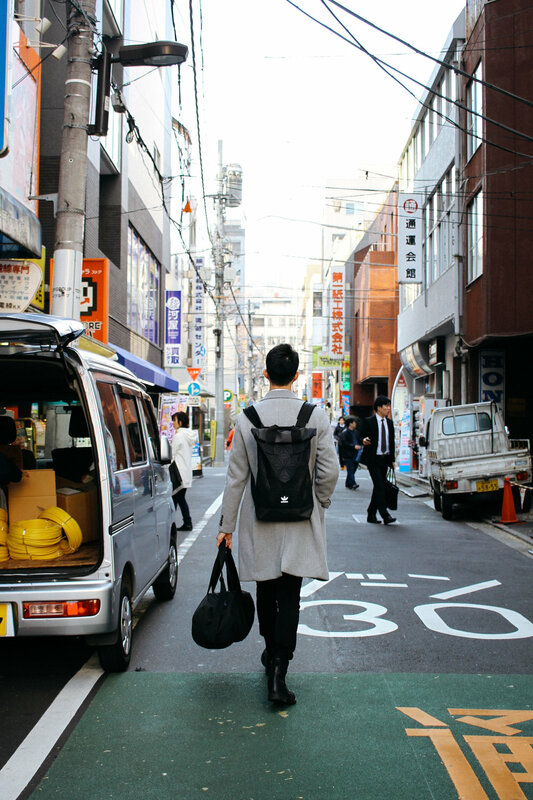 I love how the streets in Japan are tiny, cozy and jam packed with so much character. I feel this way in every area of Tokyo and it really creates a magical, adventerous atmosphere everywhere you go. I loved this DVD shop with paper flyers all on the outside making it look super old school! 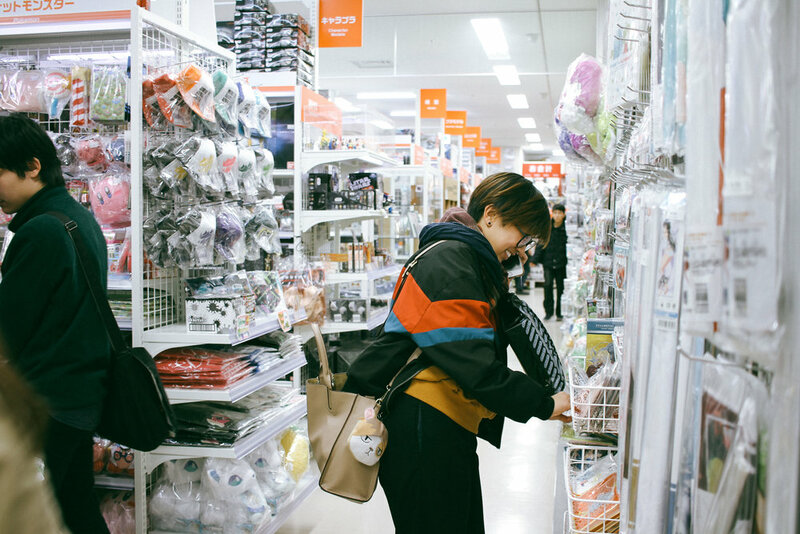 We toured a few of the major shops where most of us were overwhelmed with the amount of merchandise they had. Alison and Mami were totally in their element though...they knew exactly where all the products were and what things were newly released. I also thought it was weird/funny to see my name on one of the displays! And that, folks, wraps up our AKIBA tour and one of my favorite days ever!! I mean, if you would have told me a few years ago.."hey, one day you're going to go to a maid cafe in Akibahara with 10 of your Japanese coworkers" I would have laughed and thought you were crazy. And yet, here I am. And It happened. And it was a day I will never forget.